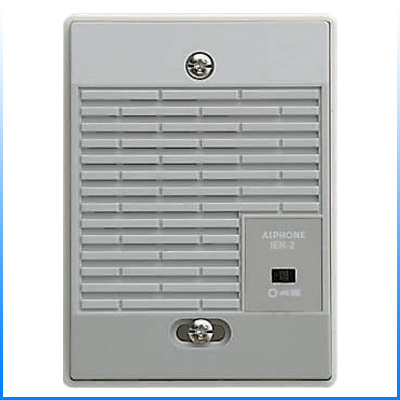 Genuine AIPHONE Audio & Video Intercom Systems0, Wire & Parts are available from LEE DAN. Chime Extension Speaker - The IER-2 is used to hear a chime from a door station in a separate location without using extra handset. The IER-2 mounts to a single gang box and features a three position switch for volume control.